This is the Animal Costume Photo of the Month for July! 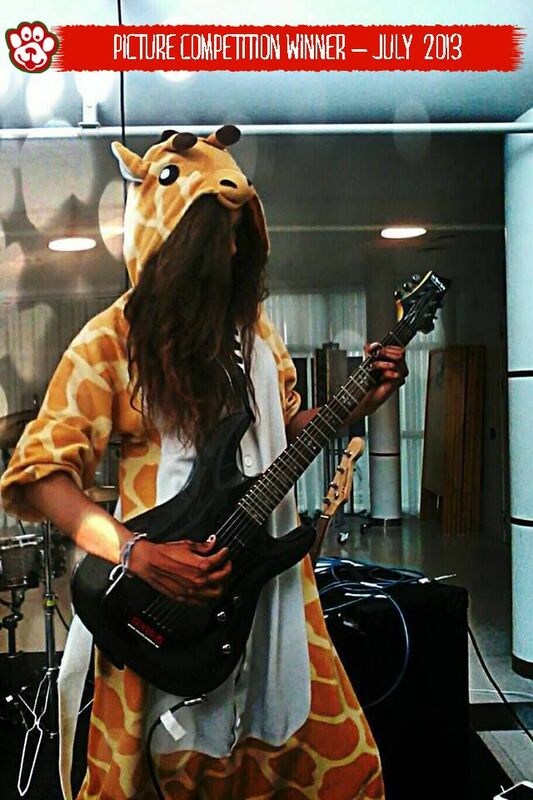 We love seeing giraffes guitar, so well done to Arabella who sent this in. She wins a £50 voucher to spend at www.animalcostumesshop.co.uk, and it seems she is pretty keen on a new unicorn costume. In case you don't know, we run a competition each month in which we ask our customers to send in their animal costume pictures. Some of them feature our kigurumi onesies, fancy dress animal costumes and some feature home-made creations or animal costumes purchased elsewhere. Keep sending us your photos in August to enter the next competition.